The DSG clutch combines two multi plate clutch packs, one for each half of the gear box. Fitting of the clutch pack requires a number of specialist tools and setup procedures. All work will be carried out using the correct procedures as detailed by the manufacturer. We invest heavily in technical data direct from the manufacturers, to ensure all work is carried out correctly using the current and up to date procedures. If you suffer any issues with any of the DSG gearbox range please do not hesitate to contact us. Car service, MOT and car repairs in York. C & M Auto Services are a Forte Authorised Repairers based in York and are a member of the retail motor industry and part of the trust my garage scheme. C & M Auto Services have full MOT, car service & repair facilities. We provide a reliable and friendly car repair service in the York and surrounding areas. Our facilities for car repairs include car service, MOT, brakes, batteries, exhausts, tyres, shock absorbers, suspension, Computer Diagnostics and all aspects of mechanical repair to your car & engine. We can MOT, service or repair any make of car and even offer a free loan car or small van for over 25's (subject to availability). Welcome to C & M Auto Services Ltd, situated just off the A1237 at the York Wetherby Whaler roundabout into York business park, off Great North Way at the 2nd roundabout is Rose Avenue we are towards the bottom of the road on the left hand side. You can make yourself comfy in our new office and waiting room with a good supply of coffee and tea. 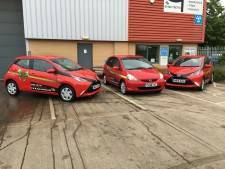 For customers having larger jobs done we run a courtesy car facility or collection & delivery (subject to demand) so we should be able to cover all your needs. From our spacious workshop we are able to carry out mot’s on class 4 and still have four other ramps for repairing other vehicles and two working bays for repairs on the floor for such as diagnostic investigating and tyre fitting. Using the industries finest tool and equipment our experienced staff, mechanics and MOT testers with over 30 years experience are here to provide you with all your motoring needs and services. We believe in high standards and can check and diagnose any problem and make any repairs needed on site. Please click the image below or the link here to see our Motorhome Hire website and what we have available. Copyright © 2019 C & M Auto Services. All Rights Reserved.